I am feeling fashionista this morning! and today it is time to bring it home and share it with you! is just that. Think about the colors, the different type of ribbons and even lace that you can use. There is a good chance that you have some of these items on hand. 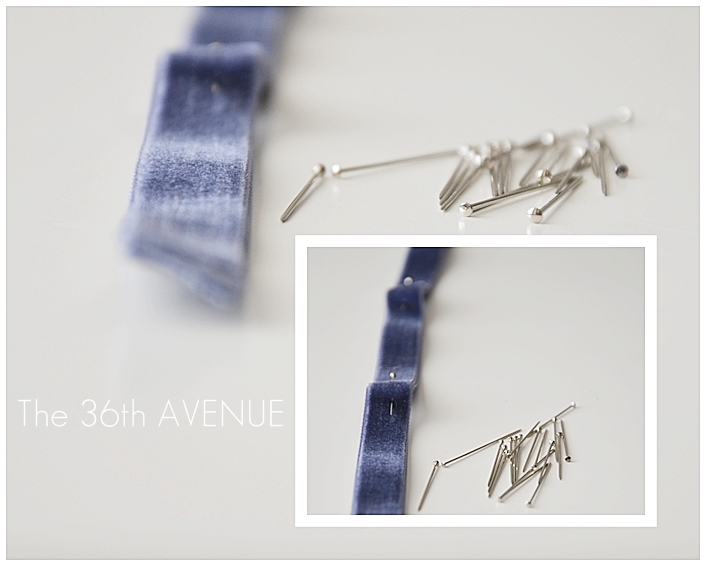 You need ribbon, embellishments and jewelry wire. I ended up using the thicker lighter type… the one on the right side of the picture. Believe it or not this wire is more bendable that the other one and easier to work with. You can find these items at your local Craft Stores or even Wal-Mart. First you want to fold about 3/4 of a yard in half. pinning right in the middle of the ribbon. After you are done pinning you want to sew both edges together leaving the center empty. Sew all the length of the ribbon as close to the edge as you can. Get your wire and bend the end of it so it is not sharp. 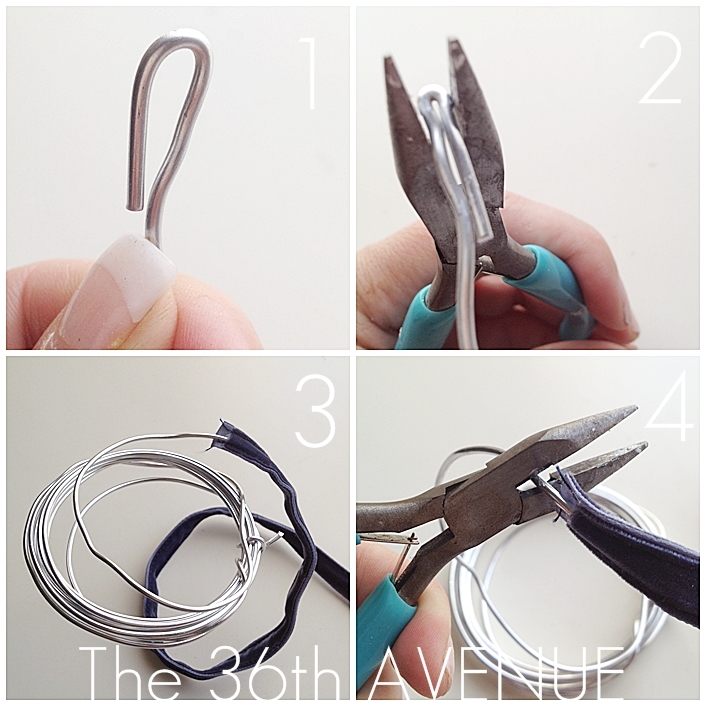 With pliers squish the top together to make it flat and smaller as seen in picture number 2. Then as you see in picture number 3 introduce the wire inside of the ribbon. The last thing you want to do is cut the end of the wire when you get to the end. Now with your fingers push the ribbon back making it ruffle. Fold the wire making a loop and squish it with the pliers. With hot glue seal the other end of the ribbon. To keep the ruffle secure and in place you need to fold each end of the bracelet one more time. Now you are going to make it EXTRAORDANARY! Use any embellishment you like. I had these cute flowers on hand and the colors were perfect so I used them. I think old missing earrings would make it look super vintage. Hot glue your embellishments in place. 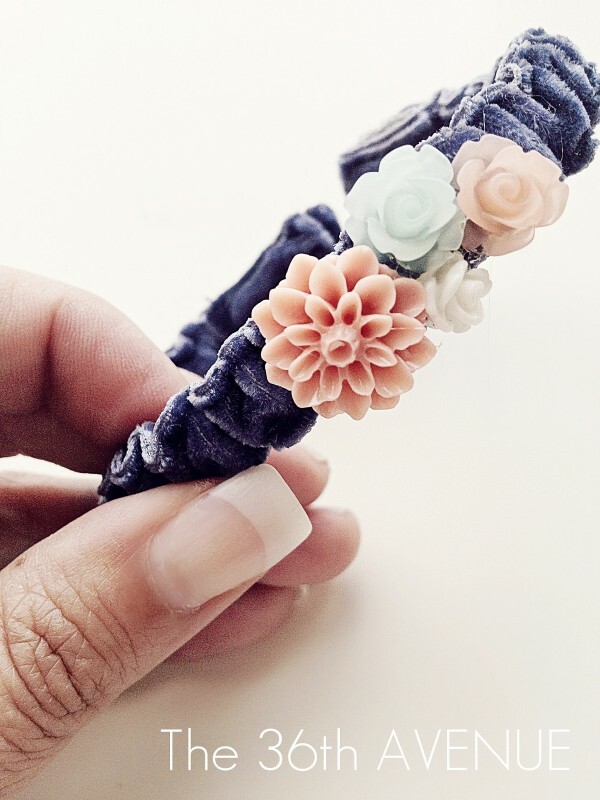 The best thing about this bracelet is that it would fit anyone since you can adjust it. I think it would make a great accessory and a super cute personal gift. I hope you give it a try… you are going to love it! Lovely again. I am gonna share this with one of my friends, who also loves such DIYs.